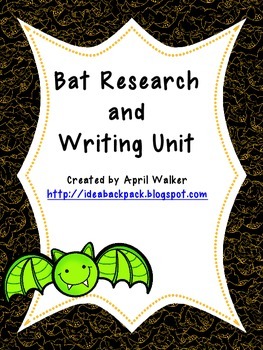 This unit has 21 pages to help your kids do research on bats and write about bats. 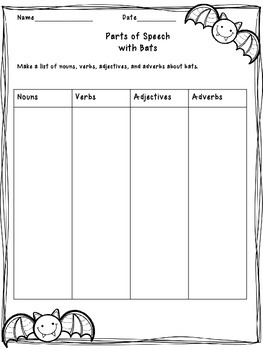 There are writing prompts for an opinion, narrative, and informative paragraph on bats. There is an activity to get your kids to think about things that drive them batty or how they act batty. There is a researh product menu with research project ideas. 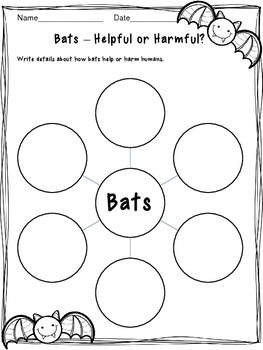 Organizers are included for your kids to record what they learn as they read about bats. 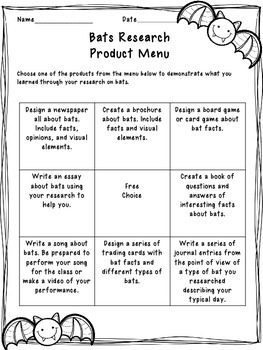 There are also organizers to help your kids plan and write research reports on bats. This is a great unit for October.